Interesting first videos and reactions from a newborn 'Home' Player. Good links for the interested here from Futurelab. I know that this isn't fresh off the upload blocks in YouTube terms but it's new to me. It's a great video containing bright and inspiring ideas.One of the fears of psychologists and the public at large pertains to the disassociative effects of gaming, our inurement to violence, killing and atrocity. The idea of reconnecting gamers with emotional experiences is brilliant. I look forward to seeing if and how this develops. 1. The architectural designer Eric Clough embedded 18 clues in the Fifth Avenue apartment of the Klinsky-Sherry family, leading them on a scavenger hunt through the rooms of their home. The letter directed the family to a hidden panel in the front hall that contained a beautifully bound and printed book. The book led them on a scavenger hunt through their own apartment. 3. A rectangular panel in the den and guest room opens to reveal acrylic slices, far left, that fit together to form a cube. When the chamfered magnetic cube lodged above the slices is dragged over the 24 panels on a nearby wall, they open. 4. Behind the panels, large white letters laser-cut into teal blue acrylic spell out the words of a poem written years ago by Steven B. Klinsky, the apartment's owner, for his wife, Maureen Sherry, and their children. 5. Decorative leather molding stamped with letters in a hallway can be popped out and wrapped around a rod removed from the foot of Ms. Sherry and Mr. Klinsky’s bed so that the letters on the coiled leather spell out a clue. 'Another evening, Ms. Sherry and Mr. Klinsky were lying in their custom-made bed when a rod running along its foot snapped off. “I’m thinking, What the heck kind of cheap bed is this?” said Ms. Sherry, who phoned Mr. Clough the next day. 6. Behind a drawing of a plane that hangs in a hallway is a little niche containing a scale model of the kitchen, a clue that leads to a musical score written for the apartment, which is hidden in a drawer above the stove. 7. Millwork panels in a hallway were designed to look like Le Corbusier’s Modular Man and da Vinci’s Vitruvian Man. Puzzle pieces hidden in one fit together to make a key that opens the other. 9. Photographs of the apartment’s original interiors have secret writing on the back that reveals the number of salamanders in the apartment. The salamander is a motif that is part of the puzzle and appears throughout the apartment. 10. Door knockers on opposite walls of a hallway initially seemed pointless. They can be removed and joined to create a crank that opens hidden panels in the dining room sideboard. 11. The custom-made sideboard has hidden panels on either side that can be cranked open to display keys and keyholes. 12. When the correct keys are used, hidden drawers are revealed. 13. The drawers contained acrylic letters and a table-size cloth imprinted with the beginnings of a crossword puzzle. The answers to the crossword puzzle led to the panels in the guest room, behind which were the words of the poem. 14. The children’s bedrooms have radiator covers with poems written specifically for each child cut into them in code. The Caesar Shift cipher in the bedroom of the oldest child, Cavan, was broken by a friend. 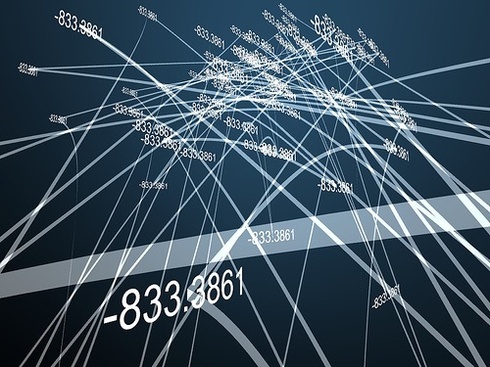 All pictures taken from the NYT slideshow 'Cracking the Code'. Full 'Mystery on Fifth Avenue' article and narrative here. Here are the asks we make of you to complete Stage One of the Arcade experiment. * Please describe, with words and/or pictures, the first place - real or imagined - that comes into your mind when you read the phrase 'underground space'. * Please create a digital image/photo of a childlike sketch of 'a house with a cellar beneath it'. Please send these to e.speckle@playbeards.info by midnight on Sunday 18th May. Stage Two of the Arcade will open on Monday 19th May. 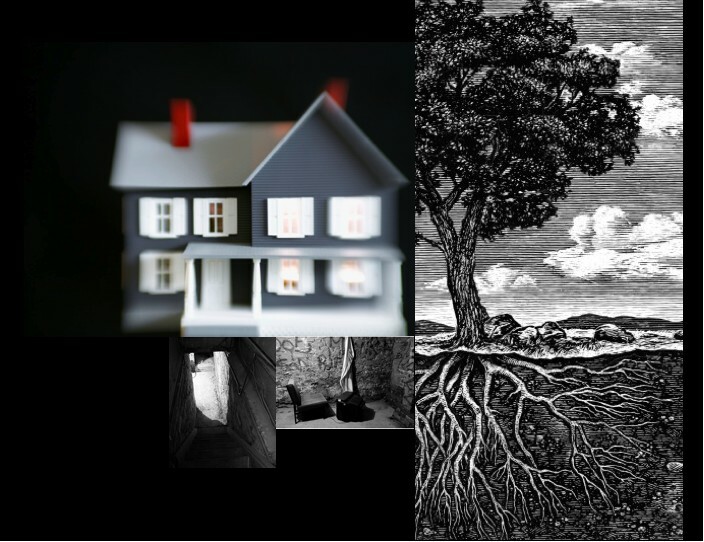 The first underground space I remember as such was encountered deep within two gnarled and ancient oak trees growing from a bank near the house of my grandmother. I pushed my way in between the roots and sat in the soft clay dust and dry leaves holding my favourite toy cat Henry, hiding from the rest of family walking up the lane behind me. The smell of dampness, earth, the feeling of concealment; the thrill of being unseen; hearing them call my name; amusement turning to faint panic. The sound of my own breath as I hugged myself into fierce invisibility. TWO players sit across a table from one another, staring at a small white ball on a track between them. Both are wearing headbands and concentrating, trying to nudge the ball towards their opponent. All they can use is the power of thought. This is Mindball, an addictive "mind game" in which the winning strategy is to remain as focused and relaxed as possible in the heat of battle. The ball rolls away from the player with the calmest mind, as measured by sensors on their headbands. An End To The Ceasefire? And yes, I know that living a game vicariously through clips on a website is somewhat missing the point. As is often the way a conversation with Alistair sent me scuttling for the Google search bar. There are some wonderful and exciting things going on in the world of gaming: Chipuya - the Japanese avatar creating shopping and tresaurehunting ARG that rewards its predominantly female games players with tokens for their real world shopping in the Shibuya Shopping Mall. 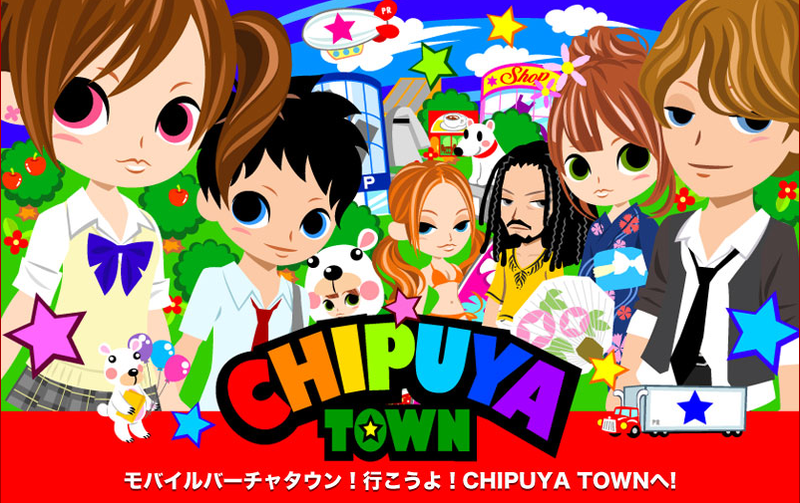 Chipuya Town is a Flash-based 2D version of real-world Tokyo youth hotspot Shibuya that users will be able to navigate around and interact in with avatars. The offering also features a virtual currency system which can be redeemed for avatar clothing as well as interior goods for avatar rooms, and according to the press release for mobile content such as full track music downloads, too. Last week more than £87.9m worth of games were sold, setting a new record. Paul Jackson, director general of industry body Elspa, said games were now "truly mass market". "Videogaming is enjoyed by everyone, young and old, male and female," he said. The prognosis across all the major titles is a consensus that gaming is in its 'golden age'. I've been meaning to blog this for ages. So here it is. 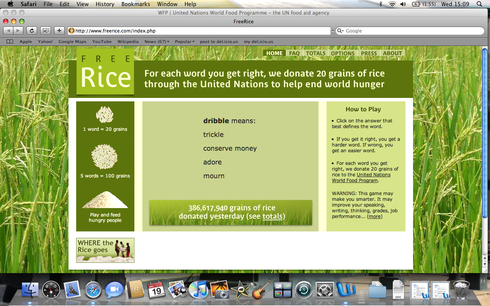 A vocab testing and building game that rewards knowledge with the donation of rice to the UN Food Programme. Brilliant. Now, you may not think that nanotechnology and badly dubbed cartoons have much in common. Oh yea of little faith. A recent post on Futurelab about three games designed allow the exploration of nanotechnology reminded me of my favourite cartoon from the 1980s. 'Once upon a time, Life.' As a child I was always up wincingly early. Luckily for my parents I quickly discovered the joy of early-morning tv: 'Once Upon a Time, Life' was on Channel 4 at about 6am. I vividly remember an episode about a little boy with leukaemia who received bone marrow from his brother; as an adult I'm both a blood donor and on the bone marrow register. I'm pretty convinced that my weakness for medical dramas of all flavours (plus the misguided notion that this in someway gives me somekind of medical expertise) is all attributable to OUATL. 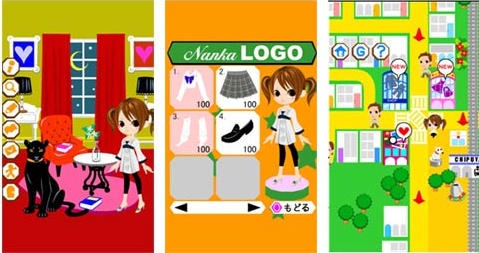 I've just downloaded the NanoMedicine module to play with. I'll let you know. With their shiny black shells, twitching legs and spiky black antlers, stag beetles are an unlikely item on a list of highly prized luxuries. 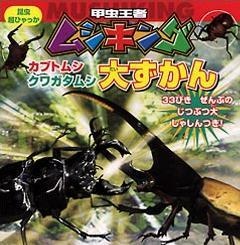 But now, a rare breed is in danger of hunted to extinction for the entertainment of six-year-old video-game players in Japan. 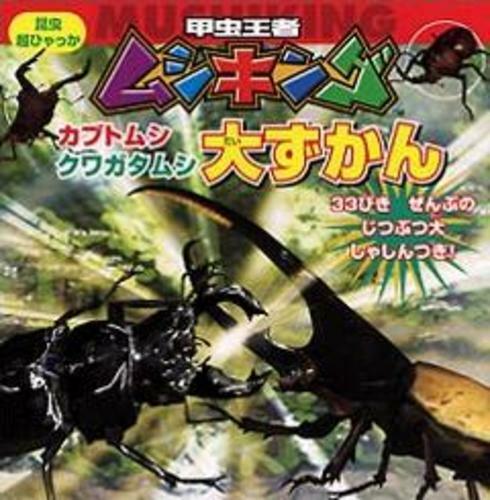 The craze has been driven by Mushiking (Insect King) a video arcade game in which small boys fight one another with digital stag beetles.